Netatmo has announced a new indoor device that keeps an eye on your home's conditions, and makes sure your microclimate is the best it can be. 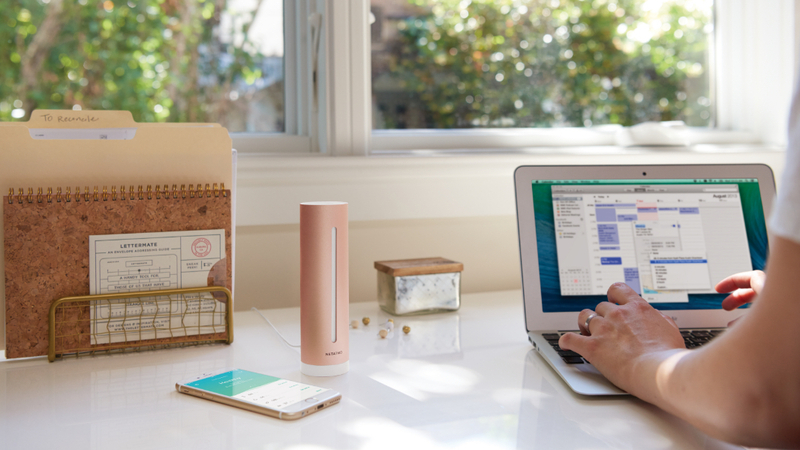 The Healthy Home Coach tracks the temperature, air quality and humidity in your house and then tells you, via the app, if you need to make any changes to your environment. Unlike the existing Netatmo Weather Station, Home Coach is only focused on what's going on inside your walls, while providing more useful tips for improvement. It will give you information on pollution levels in the air of your home, and what the ideal humidity and temperature should be for comfort. Meanwhile the device's noise monitoring can tell you if you're being disturbed at night more than you realise. Home Coach won't actually do anything beyond feeding you the information, so you'll still have to make the changes yourself. However, it does work with Apple's HomeKit, so Siri can give you updates. You can also customise it depending on who's in your household; if you have a baby sleeping on one room, you can tell the Coach and it will adjust its sensitivity - babies and adults often have different ideal conditions. The Healthy Home Coach is available for from today in the US, and will be hitting the UK on 15 October.